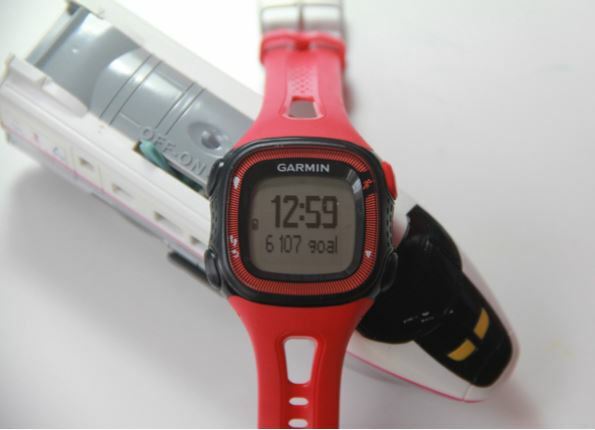 For most long time runners, a Garmin GPS watch was just as important as their shoes. Many runners have finished marathons with their favorite Garmin GPS watches on their wrist, even if that watch was big and possibly somewhat in the way. The problem with having a good GPS watch that can track your run and play it back to you later is that they have to be big to contain all that technology. But technology today is moving fast, and Garmin has just introduced the Garmin Forerunner 15, also known as the Garmin FR 15. The Forerunner 15 looks like a small, ordinary digital watch, but it is actually so much more. 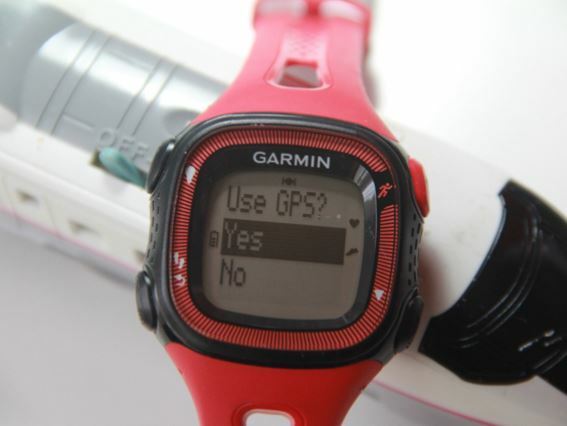 It has a fully-featured GPS device and other built-in training tools. It has two different modes, which helps set it apart from other watches. The simpler mode counts steps, and the GPS mode takes continual GPS readings while you move and tracks your movement, heart rate, and your overall performance. Although it is the best of both worlds for both simple step-counting and more advanced GPS and heart rate tracking, it is not the absolute best out there as a training tool. One of the things it doesn’t have is Garmin’s virtual trainer, which is a system that helps you improve your athletic performance by offering various routines and by encouraging you to run faster. Additionally, it can only track running and walking activities, so if you do a lot of biking or other sports, this may not be the watch for you. However, the Forerunner 15 is an inexpensive piece of equipment that is a fitness tracker and a running watch put together. The battery life of the Forerunner is about 5 hours when it is in the full running mode, tracking both GPS movements and your performance, and can last up to 5 weeks when it’s in normal fitness tracking mode. When you compare this to most other fitness trackers that typically only last a few days or maybe up to a week, this is phenomenal. The previous Garmin Forerunner was the Forerunner 10, which didn’t have ANT+ connections, but the 15 does, so you can use it to connect to any ANT+ footpod or heart rate sensor support. With these ANT+ sensors, the brand doesn’t matter, and the Garmin FR 15 is able to connect with them and keep track of heart rate and other factors as you run. The Garmin FR 15 comes with a docking adapter that connects to your computer, although it doesn’t have a direct USB connection. You can also add a wireless heart rate monitor and foot pod to the 15’s tracking system which will help you check your performance both indoors and outdoors. One of the other main advantages to the Garmin Forerunner 15 is that it’s thin and light, so much so that you’ll barely notice you’re wearing it. There’s no fancy and complicated programming that goes into the Garmin FR 15. All you have to do is turn it on, input your personal information, and get out there and run. The watch does all the connecting to GPS satellites and ANT+ compatible heart rate bands for you. Although the FR 15 does a great job at tracking running and walking times when you’re out and about, it’s not designed for walking on a treadmill, so you may find that these readings are not as accurate. There have also been reported issues of slow GPS connections which may cause you to lose the first couple minutes of your run. However, these issues may be because of the location of the wearer, so be sure you’re running in an area that usually has good GPS signals if you want to get the most out of this great little watch. Another interesting feature of the Garmin FR 15 is the ability to see more pieces of data being tracked at the same time. Most fitness watches of that size only show one data field at a time, which can be frustrating when you want to keep an eye on your time, heart rate, and miles per hour all at the same time, but the FR 15 solves that problem by letting you see two data fields at the same time. The Forerunner 15 allows you to set daily step goals, and is programmed to keep you moving throughout your day. If you find yourself inactive for more than an hour, the display will tell you that it’s time to move, and it takes anywhere from 100 to 200 steps to get the display to clear, which is a great way to make sure you keep moving throughout your day. Additionally, it helps you keep track of your progress on your daily step goal with a progress bar. 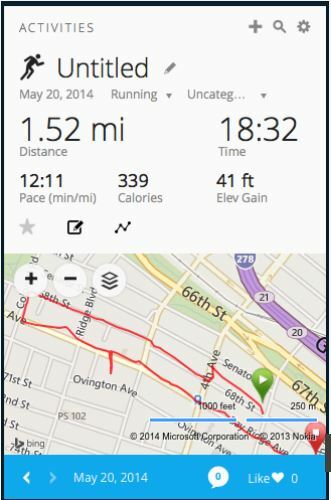 One of the best features of the Garmin Forerunner 15 is the new Connect system. All Garmin devices can now be used as a part of the web-based Connect system which allows the users to keep track of their performances over time, view previous runs, and compete with other Garmin users. Although there are certainly other running and fitness apps and websites out there that connect with the numerous other watches and fitness tracking devices out there, the Connect system by Garmin is easy to use, and allows you to see all the data from all of your Garmin devices. 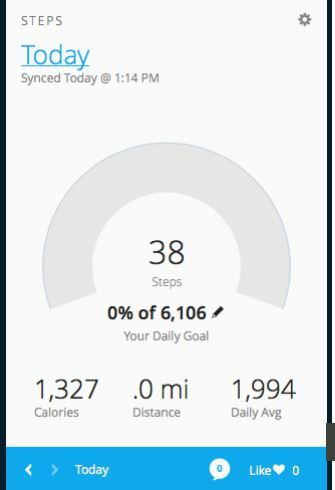 You can see how many steps you’ve taken each day, maps of all of your runs, and your general performance. The Garmin Forerunner 15 is not for everyone. 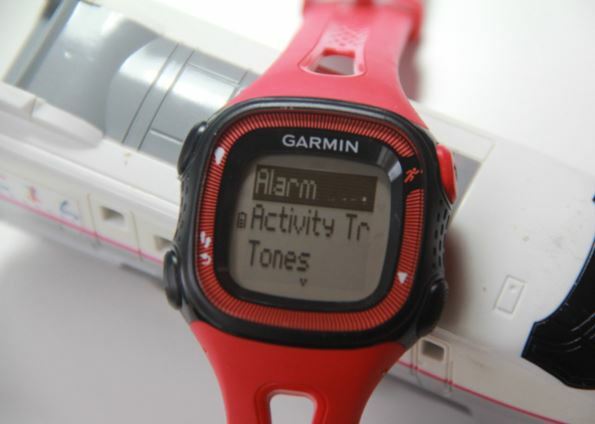 If you are a serious runner, trying to keep track of your activities for specific health reasons or if you do a lot of activities other than walking and running that you want to keep track of, you may want to consider getting a watch that has a few more features that can track everything and meet all of your needs. However, if you are an entry-level runner or just want a low-cost alternative to using GPS tracking systems to track your routes, the Garmin FR 15 may be for you. This entry was posted in Garmin GPS Running Watch and tagged Garmin, Garmin® Forerunner® 15.